There are several great tools in Google Calendars to keep you focused on your important appointments, events and tasks. Great way to get an organized look at your day, old-school planner style. Very printable and easy to peruse. 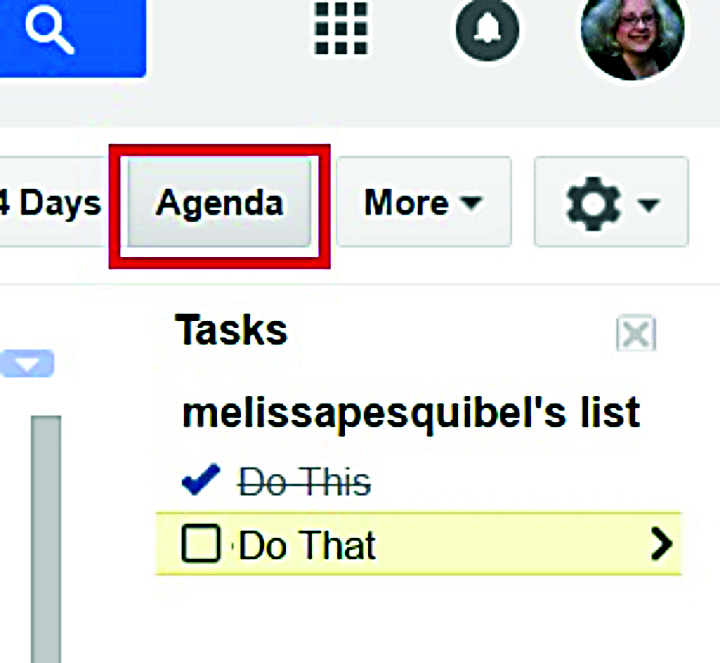 From any calendar view, click on the Agenda button in the upper right. Select multiple calendars to see all those events. They will be color coded, so it’s easy to distinguish which calendar they came from. You’ll be presented with a line item view. To see the details for one item, click the plus symbol at the beginning of the entry. Or, click Expand All at the top to see all the details. You can also click the Tasks button under the My Calendars selection on the left side of the screen and see both your appointments and To Do list. They appear with check boxes, which you can click to check off completed items.